Here at Econ Financial Services we have a dedicated and capable team of professionals here to assist you with any of your requirements. Feel free to reach out to us at any time, we love to chat! George has been assisting clients meet their financial objectives for over 10 years. His passion for delivering superior customer service is beyond reproach and his focus on client satisfaction has seen the business grow steadily under his stewardship. He leads a motivated team of planners and administration staff at Econ Financial Services and has responsibilities as Managing Director of Econ Financial Services as well as a Partner at Economos Chartered Accountants. Out of the office, George enjoys spending time with his family, and playing basketball and golf. Alex is a director of Econ Financial Services, with over 18 years’ experience working in the financial services industry. He assumed a role as a financial adviser to pursue his interest in equity and capital investment markets, specialising in the area of Self-Managed Superannuation. An established member of staff, Alex leads a team who are committed to providing our clients with superior customer service and financial advice. Our in-house rugby league aficionado, Alex is a keen Wests Tigers fan. 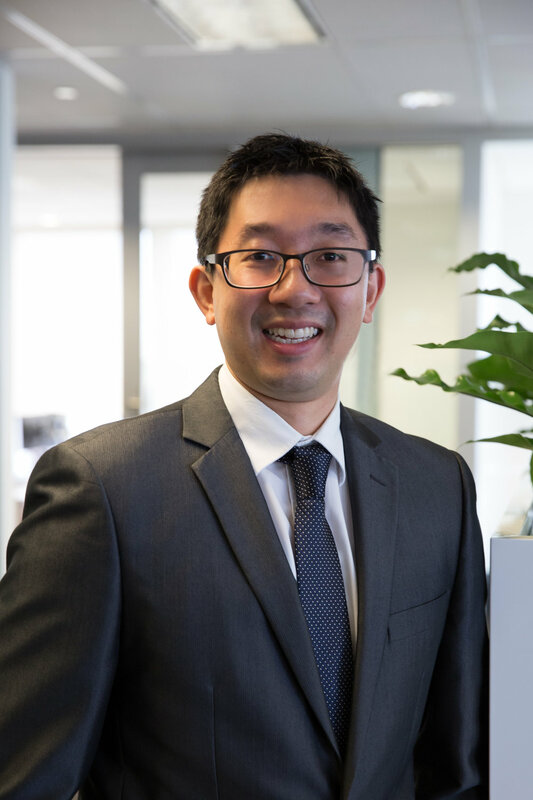 A veteran of the Economos group, Alfred began his career providing taxation advice to clients, with particular expertise in Self-Managed Superannuation. Currently engaged as a Financial Adviser at EFS, his desire to deliver for his clients remains as strong as it was when he joined us. Alfred is a certified Chartered Accountant who holds Bachelor and Master’s degrees in Commerce and a Graduate Certificate in Financial Planning. He commands the knowledge and experience necessary to provide our clients with tax effective solutions on a daily basis. Outside of the office, Alfred enjoys Tai Chi and mountain biking. Kristen provides a second point of contact to clients for Econ Financial Services. Kristen has completed a Bachelor of Business and is currently completing her Graduate Diploma in Financial Planning. Out of the office, Kristen enjoys spending time with family and friends, great food and reading. April works closely with the financial advisers, with the objective of providing clients with professional customer service. April has a Bachelor of Arts (Government), a Masters in International Relations and is currently completing her Graduate Diploma in Financial Planning. Outside the office, April enjoys learning French, appreciating good food and spending time with friends. Marissa is the newest member to join the EconFS team as an administration assistant, supporting the financial planning team in their provision of advice and ongoing services for clients. She is in her final year at the University of Technology Sydney, where she is completing a Bachelor of Business majoring in Economics and International Business. Beyond her studies, Marissa is an avid traveller with a keen interest in exploring new cultures through food and language, having completed a study abroad semester in Madrid, Spain in 2017. Taylah is an administration assistant, supporting staff with client and administrative tasks. Taylah is currently undertaking studies at the University of Technology Sydney completing a Bachelor of Business, majoring in Marketing and Business Law. Outside the office Taylah enjoys spending quality time with family and friends and exploring her passion for contemporary art, fashion, books and travel.